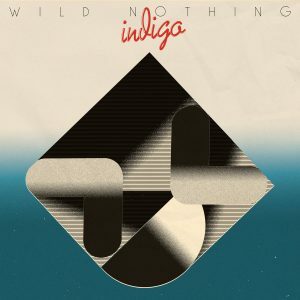 It’s always nice to imagine an album with this or that song included, though I don’t think Wild Nothing‘sIndigo really needed any additional flourishes. Although, with that said, this leftover definitely has that shimmering pop that gets right with me. That murky chord that opens before the wash of keyboards coat it, struck me immediately; it’s great how Jack plays between elements of light and dark in his sonic textures. Still, his latest LP showed great control of the hooks that are central to this song, so it would have been nice to see where you would have slid this one into the mix. Who knows, right? At least now we have this new version to enjoy. Indigo marks the fourth full-length studio release of Wild Nothing, the moniker for Jack Tatum’s sonic explorations in the realm of shimmery indie rock. 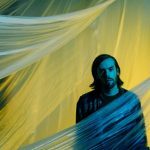 We’ve seen Tatum’s style change with each release; a devotee to growth and expansion, Tatum is not one to rest on the early success of the band, but has pushed himself in entirely different directions. Indigo sees yet another direction, but one that functions essentially as a patchwork quilt of past soundsyou can hear elements of prior albums, but Tatum has reimagined them into an album that burns brighter and bigger than the past. Opener and lead single, “Letting Go,” positions Tatum to soar higher on this release than before. The guitars, ever jangly and bright, ease past fans into the sound. While familiar to Nocturne at first, the track then surges into infectious pop with the choral hook. Tatums vocals are high and resonate starkly at the top of the mix, cueing us into the glossy production that is present all over Indigo.Here is a more proto-typical pop song than weve heard from the dark and simmering Wild Nothing and it’s refreshingly glorious. Not to be outdone by sultry, “Partners in Motion,” whose echo-y percussion and vocal effects make for a 80s synth banger. When Tatum sings lines like, “I had a temper/but now I’m delicate,” the vocals are doubled over and drenched with reverb, urging you to join along. A toe-tapping bass line, playful and snappy guitar licks, and saxophone flesh out the tune into something great. It’s not all sunny pop though–the brightest gem, for me, is “Canyon on Fire,” which is a guitar heavy track that you are immersed in for its five-minute duration and then immediately play again. A brief moment of pause between the previous instrumental interlude of “Dollhouse” washes over you before the squall of electric guitar announces itself with a roar. Soon, you’re hit with dueling riffs that perfectly compliment each other while an even bass line chugs away and airy percussion keeps everything just on the verge of chaos. Tatum weaves us a picture of Los Angeles through his eyes, each line hitting with a soothing cadence that provides lovely juxtaposition to the snarling guitars. He asks, “Who would I be without you?” addressing a love or potentially the city itself, and then answers the question with “Someone I dont know,” acknowledging that Tatum is married to the subject–be it LA or a significant other. That kind of bond has made it impossible to imagine life otherwise. This all takes places within a simmering bridge before the track surges once more into full volume for a glorious victory lap. “Canyon on Fire” merges Tatum’s impeccable songwriting with the infectious guitar riffs from Nocturne-era to make for the best track on this album. In the end, Indigo, is a well written record about love and being deep in the waters of it. Unencumbered by irony and disdain in an otherwise bitter world, the soaring pop of this album makes for a sincere feel-good (and just damn good) eleven tracks of escape, though far from devoid of introspection. Tatum has found his stride, crafting a collection of songs that youll find hard to turn from. Indigo is both intimate and lofty, hoisting you up with each track as it flies to new heights for dream pop. It’s interesting to listen to early recordings of Wild Nothing and see just how far Jack Tatum has come in songwriting, in regards to both skill and style. I love the way he sets you up in this song to get hit over head with the natural hook; he spends the first minute and a half with this brooding sensation with twinkling guitars ringing in the far off. Your settled, and probably enjoying the new track’s dreamier quality…and then the tune jumps in with a more pronounced punch amidst twisting and turning guitar lines…somehow it feels more powerful than anything he’s crafted. All things are pointing towards Indigo being a sensational hit when it drops August 31st via Captured Tracks. 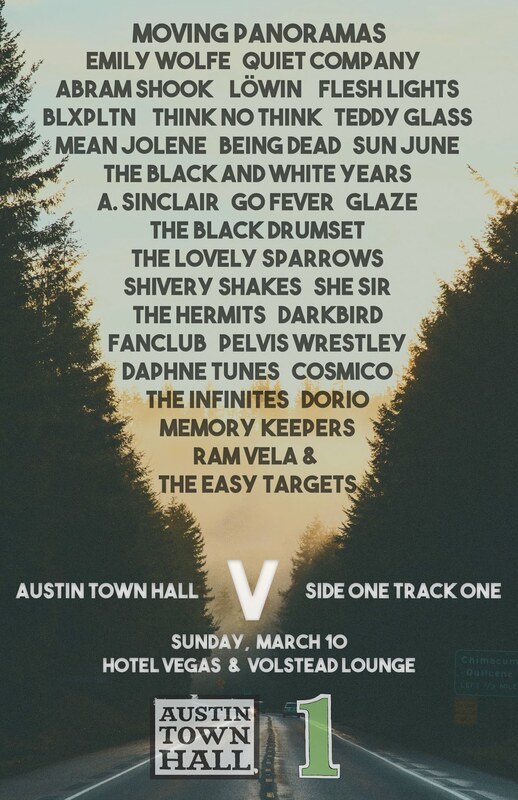 One of the hot tickets on the ATH docket has all of us anticipating the new record form Wild Nothing. It’s been interesting to see Jack draw from his various influences and meld that into his own sound. Here, you hear a certain nod to any dance number in a Hughes movie, even adding in the textured horns for maximum jazz hands effect. The vocals have a bit of a warp to them too, displaying just another trick Tatum uses to look back. Indigo, the new album, will drop on August 31st via Captured Tracks, giving us another glance back. Who thought summer wasn’t going to be filled with hits? We’re stoked to share with you this new Wild Nothing track, the first bit of new music since 2016’s Life of Pause. I’m immediately hooked here, with the drum work coming in behind sharp cascading guitar lines. There’s a synth wash over the mix, allowing Jack’s voice to sort of ride a wave of cresting atmospheric beauty. The chorus is the perfect dose of pop, warm and memorable, akin to the recent work of PoBaH; it might also be my favorite tune from the band since Gemini. This new track will feature on the band’s new LP, Indigo, which is being released by Captured Tracks on August 31st.